© Joe Saladino. All rights reserved. 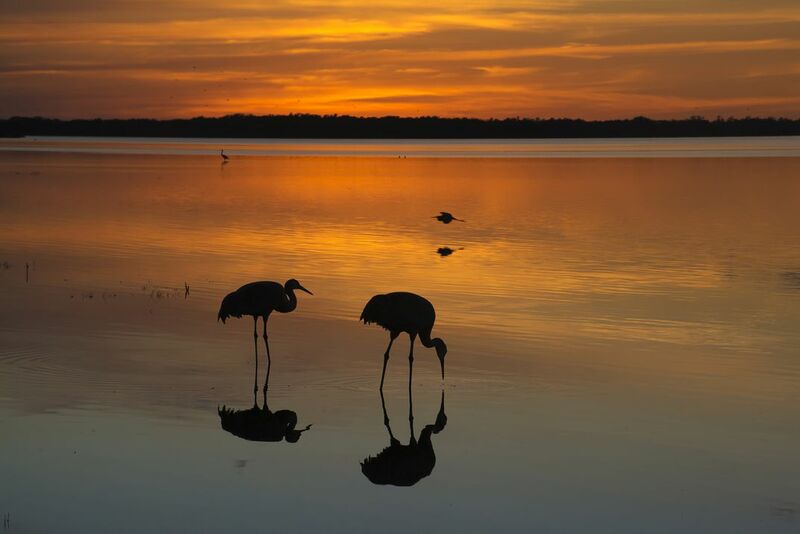 Two sandhill cranes feeding at sunset in Myakka Lake while a heron flies behind them and another sandhill cranes stands in the lake in the background. Date Uploaded: Aug. 11, 2018, 10:03 p.m.